It looks like Research In Motion (RIM) is now finally ready to show off its next-generation of mobile operating system – the BlackBerry 10 – to consumers in its completed form. 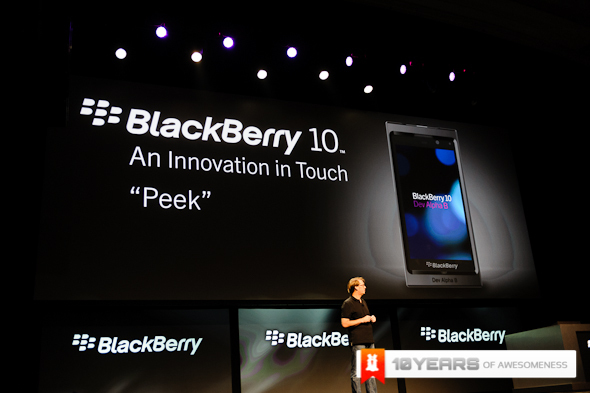 Just moments ago, RIM has announced that the company will be launching the new OS on 30th January 2013 which will fulfill RIM’s commitment to launch BlackBerry 10 within the first quarter of 2013. According to RIM, the launch event will be held in several countries throughout the globe and will also be showing the first two BlackBerry devices that are made for the operating for BlackBerry 10. No name were mentioned but if you have been following BlackBerry rumours, these new devices might be those that were leaked out back in September. Officially, RIM has stated that more details about both devices will be revealed at the launch itself and in addition to that, several cities throughout the world will also have their own BB10 launch event. No actual list of cities is available for the time being though – hopefully, Kuala Lumpur will be one of it so that we are able to check out the new OS as well as its devices (maybe) right on their global launch day. For the meantime, do check out our early look at BlackBerry 10 during our time at the recent BBJam Americas and BlackBerry World just few months ago if you are wondering what is the new BlackBerry operating system is all about.